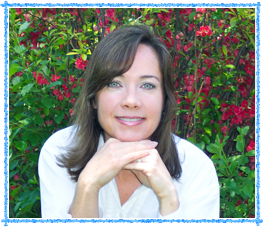 Suzanne Slade is the author of Countdown: 2979 Days to the Moon, a new book for older kids. 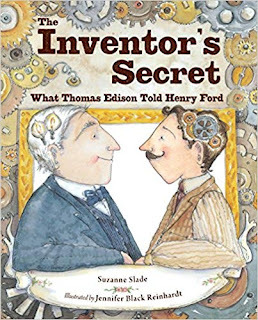 Her many other books for kids include The Inventor's Secret. She worked as an engineer, focusing on rockets. She is based in the Chicago area. Q: Why did you decide to look at NASA's Apollo missions in your new book? 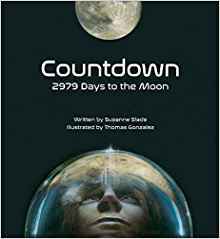 A: I wrote Countdown: 2979 Days to the Moon because I wanted to share the struggles, successes, and surprises of the Apollo missions that led to the first moon landing. The book covers 2979 incredible days: from President Kennedy's announcement we should land on the moon (May 25, 1961) to Neil Armstrong's first step on the moon, July 20, 1969. I took on this colossal writing project to commemorate the upcoming 50th anniversary of the first moon landing (July 2019), and was also inspired by my previous work on rockets and the remarkable perseverance of the Apollo team. Q: Did you learn anything surprising as you researched the book? A: I learned a LOT of surprising things! Hard to pick just one, but I guess it was that the Apollo astronauts had a realistic grasp on the risks involved with their missions, yet they willingly stepped onto those rockets and blasted off knowing there was a good chance they wouldn't return home. Q: What do you think Thomas Gonzalez's illustrations add to the book? 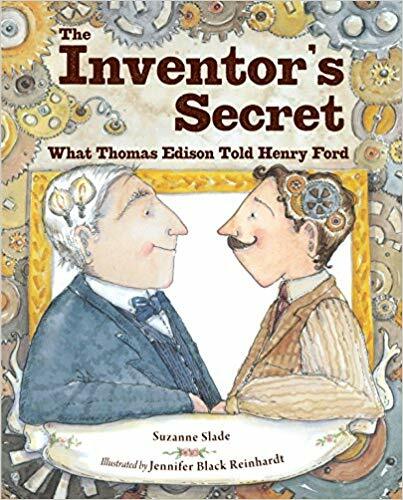 A: Tom Gonzalez's glorious illustrations are extremely powerful. His stunning, detailed work heightens the emotional experience of this compelling, true story. It's really hard to put into words how much his art adds to the story -- it is the heart of the book. I'm getting ready for two new space books to release this spring (2019): A Computer Called Katherine: How Katherine Johnson Helped Put America on the Moon (Little, Brown) and Daring Dozen: The Twelve Who Walked on the Moon (Charlesbridge). I have four other books-in-the-works in various stages of production. I hope to find time to start writing something new soon. A: Written in free verse, Countdown is great for ages 10+. Its 144-pages contain 53 stunning illustrations and 54 fascinating Apollo photos. It is a 2018 Junior Library Guild Selection and has received starred reviews from Booklist and Publishers Weekly. Check out the book trailer here. --Interview with Deborah Kalb. Here's a previous Q&A with Suzanne Slade.